Jonathan C. Reiter Law Firm » Featured » Why Does the U.S. Have an Airline Pilot Shortage? According to multiple reports, the U.S. airline industry is facing a looming problem: a shortage of pilots. The problem has been on the horizon for several years, but it received additional attention in 2009, when a regional airline flight crashed into a private home outside Buffalo, killing 50 people. When investigators discovered that the pilot’s inexperience caused the crash, lawmakers increased the required number of flight hours for first officers from 250 to 1,500 hours. According to Time, the significant boost in required flight hours was designed to increase passenger safety. Unfortunately, the change has also exacerbated the pilot shortage, as many pilots who would have qualified to serve as first officers under the old rule are now prohibited from working as first officers. Time and other sources also point to the high cost of pilot education and training compared to entry-level salaries in the airline industry. Learning to fly is not cheap, and the average cost of flight-training fees in the U.S. is around $64,500, according to a Bloomberg report. Because pilots-in-training must now have more hours, they must also pay for additional experience, which means more flight-training fees. When you add the cost of these hours to the price of a college degree and other expenses, pilots pay about $150,000 before they even land their first job. According to a spokesperson for the Regional Airline Association, the starting salary for a first officer for a regional airline is just $27,350 per year, with some earning as little as $16,000 annually. Although many airlines now offer signing bonuses, there simply aren’t enough qualified candidates to fill open pilot jobs. To complicate matters, the pilot shortage is poised to get worse, not better. A study published by the University of North Dakota’s Aviation Department says the impending pilot deficit also faces another blow: an aging crop of current senior pilots. 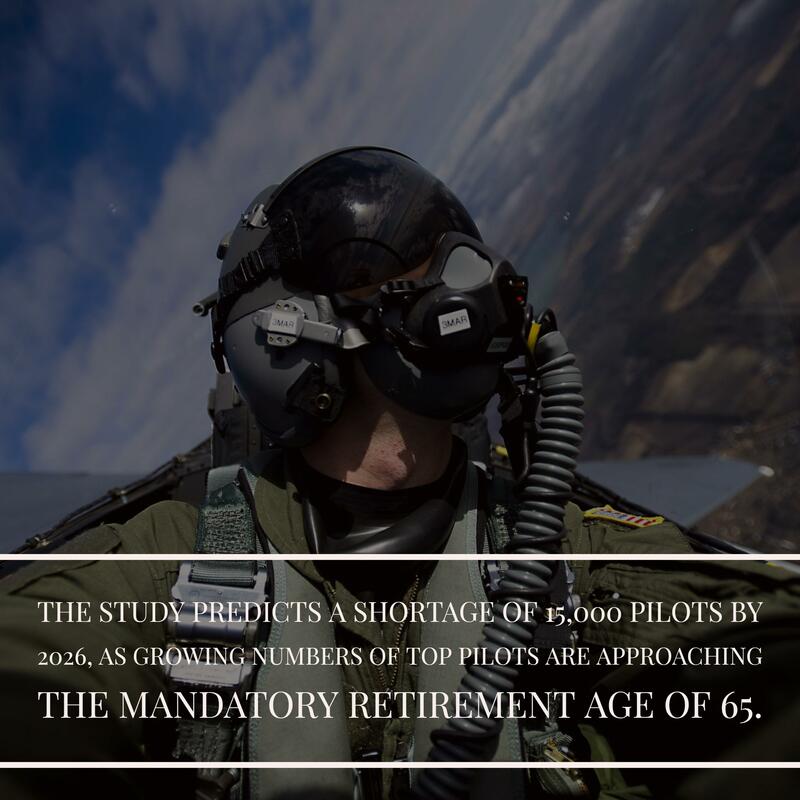 The study predicts a shortage of 15,000 pilots by 2026, as growing numbers of top pilots are approaching the mandatory retirement age of 65. Because there are not enough up-and-coming pilots to replace them, the study’s authors say airlines face a serious dilemma. Airlines have also been hurt by consolidations and bankruptcies – especially among regional airlines. With fewer jobs available for pilots just starting out, it is difficult for would-be pilots to get the hours and training they need to fly for larger airlines. If you or a loved one has been injured in an aviation accident, or you have lost someone in an airline crash, you need the help and support of an experienced New York aviation accident lawyer. These are complex cases. Work with a lawyer known for handling airline accident cases for clients throughout the United States and abroad. Call Jonathan C. Reiter Law Firm, PLLC to discuss your case with an experienced New York airline accident lawyer today. Call 212-736-0979.